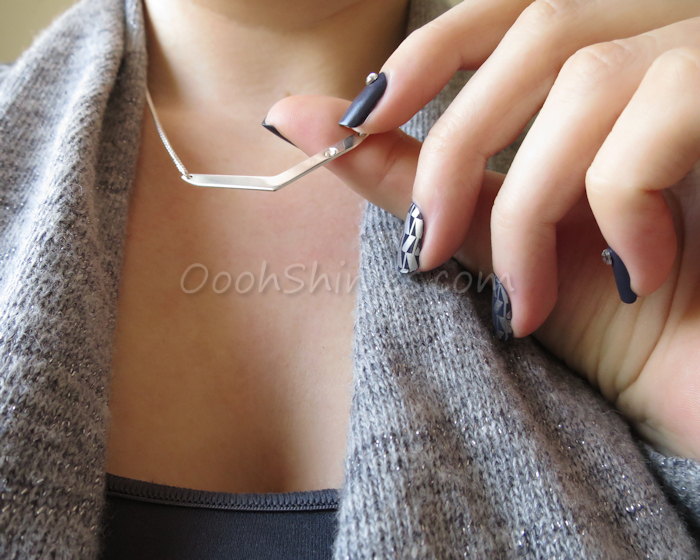 And here's how it looks on me :) This Sterling silver necklace comes with either a box or a rolo chain, mine is an 18"/45cm rolo chain. You can choose the birthstone to go with your birthmonth, like I did, or you can of course just pick the color that you like the most! 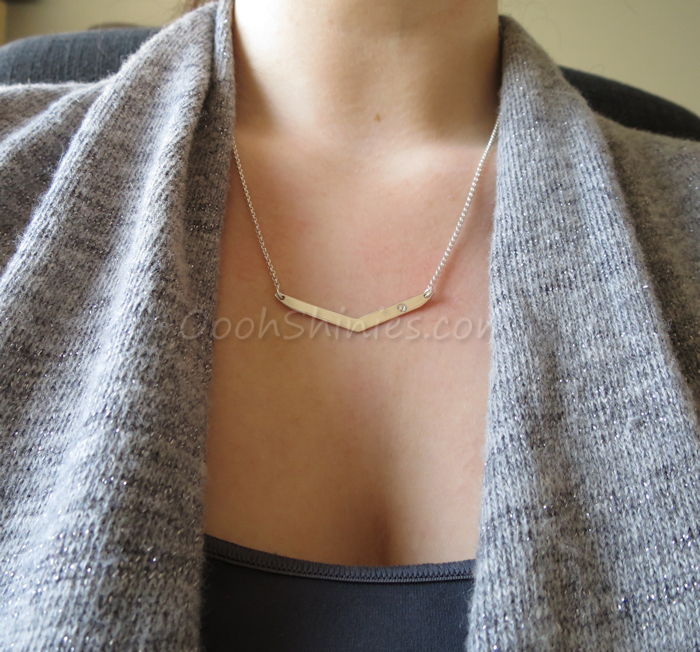 Onecklace specializes in personalized jewelry, in silver, gold-plated, gold and white gold, and they have such a huge range of products - I'm sure you can find something you like on their website! They offer free, worldwide shipping and if you want, you can buy a gift box & bag along with your order. For my nails I went with a 'brushed metal effect' basecolor, added some larger rhinestones and stamped some accentnails with silver. Those nails I did finish with top coat, the others I left as they were. 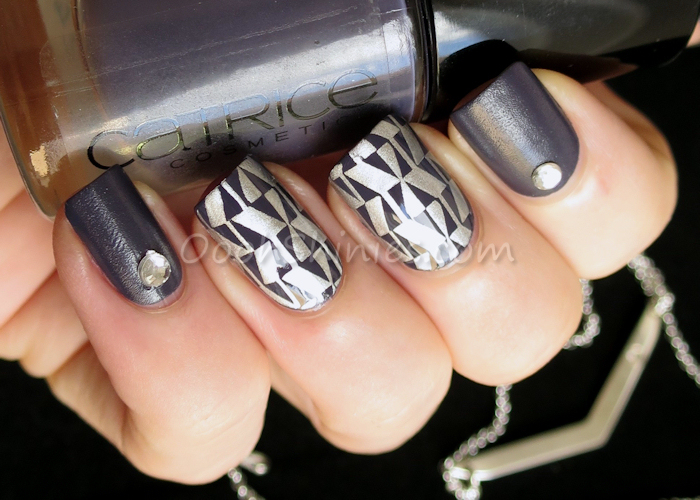 Catrice How I Matt Your Mother with China Glaze Millennium, Bundle Monster Polynesia BM-XL113 and Viva La Nails rhinestones.